Unique ebook doesn’t just tell you what to say. It says it for you! Divorce may be tough on parents, but it’s even tougher on children. One of the most difficult conversations any parent will ever have is telling their children about an upcoming separation or divorce. 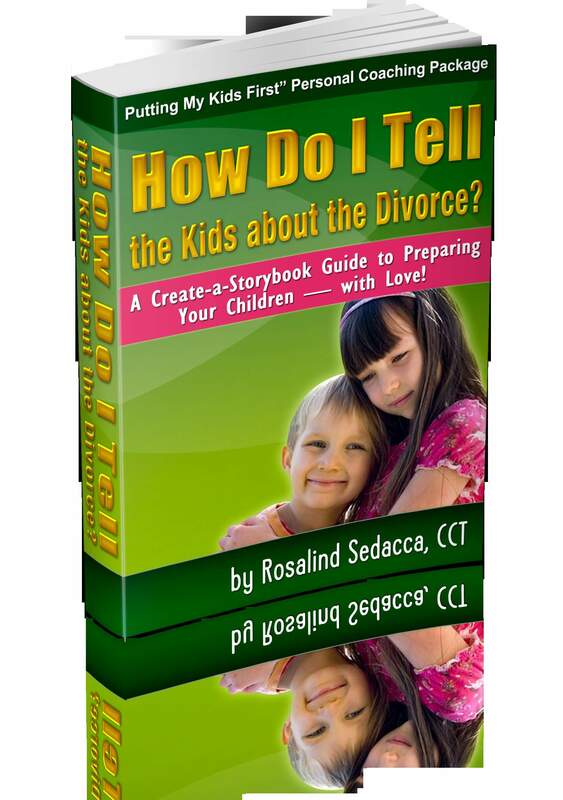 Rosalind Sedacca, CDC, had that conversation more than a decade ago and used it as the basis for her internationally acclaimed ebook, How Do I Tell the Kids about the Divorce? 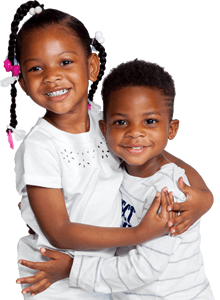 A Create-a-Storybook™ Guide to Preparing Your Children – with Love! Unlike other books on children and divorce, Rosalind’s innovative approach provides customizable templates that don’t just tell you what to say — they say it for you! 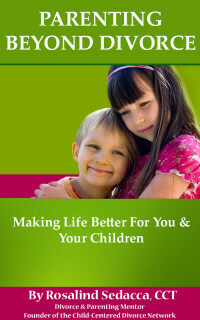 Learn more about this internationally-acclaimed must-read book for any parents facing divorce. This quick, easy to digest guidebook/training program gives you the best strategies for co-parenting success during and long after divorce! Read it through once — then refer back when you need help, advice, support and proven tips for handling co-parenting challenges and frustrations more effectively. Includes a free Bonus ebook as well. 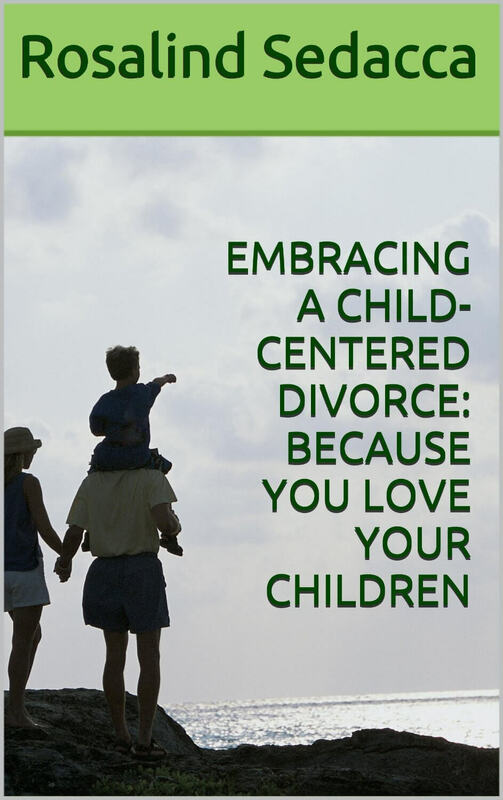 EMBRACING A CHILD-CENTERED DIVORCE: BECAUSE YOU LOVE YOUR CHILDREN! 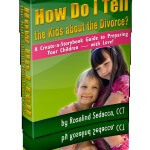 As a Divorce & Parenting Coach and Founder of the Child-Centered Divorce Network, Rosalind Sedacca, CDC shares valuable advice, tips and insights for divorced parents on helping children cope with divorce and transition after divorce with the best possible outcome. 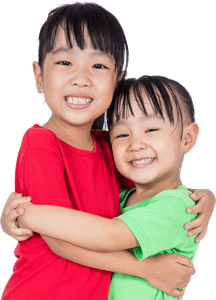 She helps parents understand the emotional effects of divorce on children and how to protect their children from hurt, anxiety and long-term damaging consequences. 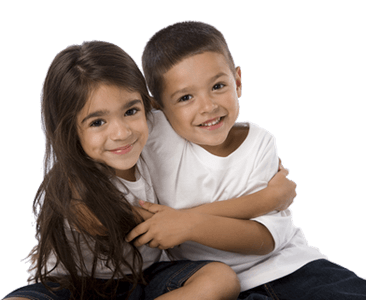 Learn how to co-parent more effectively and become aware of your child’s needs at differing ages and stages during and after divorce. Ready to start Dating After Divorce? Check out Rosalind Sedacca’s guidebook for women! Are you ready to start dating again, but afraid to take the first step? Are you tired of dating “frogs” and getting skeptical about finding your “prince”? Need help moving out of your comfort zone into dating experiences that are fruitful, fulfilling and fun? Before Dating After 40, 50 and Yes, 60! will empower you to find that meaningful relationship you deserve! Fed up with dating disasters and playing games? Tired of repeating old patterns that attract the same bores, brutes or boys? Millions of women over 40 are looking for more – and they want it now! 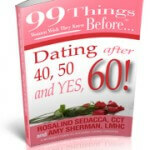 99 Things Women Wish They Knew Before Dating After 40, 50 & Yes, 60! is fast and easy reading. But don’t be fooled by its size! Authors Sherman and Sedacca understand the needs, challenges and insecurities mature women face in finding meaningful relationships. From sensible to sexual, they’ve honed their messages to deliver insightful awareness and powerful techniques — that really work! Within these pages you’ll find insights, advice and tips you need to know about before dating or entering into a romantic relationship. The 99 keys provided will empower you to avoid the most common pitfalls and mistakes of dating after 40 — and guide you toward developing the healthy, mutually satisfying relationships you desire and deserve. Here’s an informative, fun to read, candid and dependable resource that delivers realistic guidance you’ll relate to and welcome. This step-by-step guide will have you dating smarter, feeling more empowered and having more fun. Why keep kissing frogs — when “99 Things Women Wish They Knew Before Dating After 40, 50 & Yes, 60!” will show you the way to confidently attract the “prince” you’ve always been looking for? • You’re Looking for Him. Is He Looking for You? • Will You Rate on Your Next Date? Dating Experts agree – this small book packs a big punch! 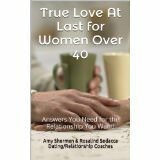 True Love At Last for Women Over 40: Answers You Need for the Relationship You Want! Relationship experts Rosalind Sedacca, CDC and Amy Sherman, LMHC provide no-nonsense, realistic and often overlooked insights into creating your ideal love relationship. 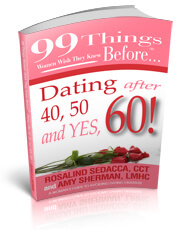 Co-authors of 99 Things Women Wish They Knew Before Dating After 40, 50 & Yes, 60, the Dating & Relationship Coaches answer frequently asked questions with candor and compassion, while guiding women over 40 to new levels of confidence and adventure. Discover self-empowering tips for transforming your love-life without sacrificing your own spirit or your SELF!